A new home, a new town and a new beginning! 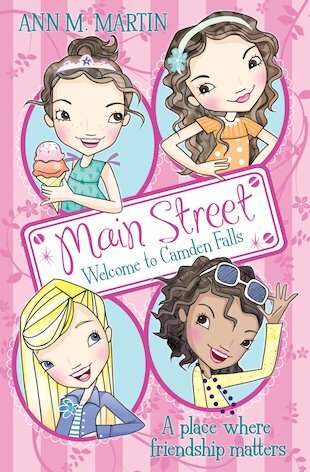 Welcome to Camden Falls, where friendship comes first! Flora and Ruby don’t want to move to a new town, but they have no choice. Their parents are dead and their grandmother, Min, is taking them in. It’s strange to be somewhere new, but luckily Camden Falls is a very welcoming place. Min runs a sewing store on Main Street, and soon Flora and Ruby meet Olivia and Nikki, who become their firm friends. In the close-knit community of Camden Falls, the girls discover that friends can be just as important as family… From the author of The Babysitters Club comes this heartfelt new series about friendship and belonging – great stuff from the writer who does it best! I like it very much!i like the way they created friends.